Great for storage, or keeping items clean and protected from moisture. Reclosable ZIPPER POLY “Polyethylene” Bags. FDA and USDA accepted. Choose from strong 2-mil bags or heavy-duty 4-mil bags. The 2 mil bags are the most popular thickness. They are approximately twice the thickness of the average sandwich bag. The 2 mil bags provide a good strength without sacrificing too much clarity. The 4 mil bag should be used for heavier items or items with sharp edges that might puncture the bag. 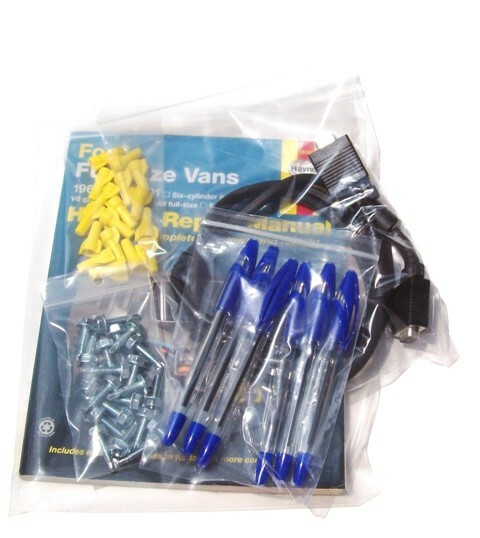 Reclosable Zipper bags are easy to open and close and can be reused. These bags are great Foods, Supplies, Parts, Crafts and much more! The dimensions listed are the interior dimensions of the bags.